(some people like to call them corn nuts) and more! 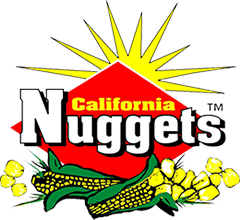 We offer a variety of flavors for our Corn Nuggets. Try our Corn Nuggets today and you'll be pleasantly surprised! but ours have a very light crunch with a fabulous flavor. OK Kosher. Look for the label on all of our products. We have private label and custom packaging partnership services available and we can offer a wide variety to best suit your needs. Food safety is a high priority for us. We strive for full nutritional/ingredient disclosure on all our food product packages, including all the major food allergens.